Has the Federal Reserve really been suppressing gold prices? How much longer can they succeed? See why this “sale” may not last much longer. Activity at Germany’s Degussa, one of the largest European gold and silver dealers, was three times the norm, said CEO Wolfgang Wrzesniok-Rossbach. “We had to open for half an hour longer across Germany on Friday evening because there were so many people queuing up in the branches,” he said. The U.S. Mint is being positively raided by an influx of buyers, including retail buyers and new customers who have not been in the gold market before or haven’t bought in a while. It is always interesting to examine situations where the supply and demand curve don’t seem to make sense. A drop in price to these low levels is supposed to indicate a drop in interest in gold, but that doesn’t seem to be the case at all. If gold dealers are extending their hours to service customers waiting in long lines, there would seem to be a pretty strong imbalance in pricing – meaning the price seems to be pushed well below the market. He goes on to explain in detail how the price of gold is suppressed on global markets and why it is a finite strategy. Max Keiser noted just a few days ago that the run on precious metals is coming to a head in China, and as soon as China runs out of physical silver, all hell will break loose in precious metals markets with prices shooting skyward. The U.S. Mint is already out of silver, basically, even as the price keeps dropping. If that doesn’t have you scratching your head, you should review your notes from Econ 101. Here is what you need to know: Central banks are playing a dangerous game with manipulation, or shall we say “influence” of the gold price. Rather than undermining gold’s credibility, it is creating massive surges in demand and shortages are the result. 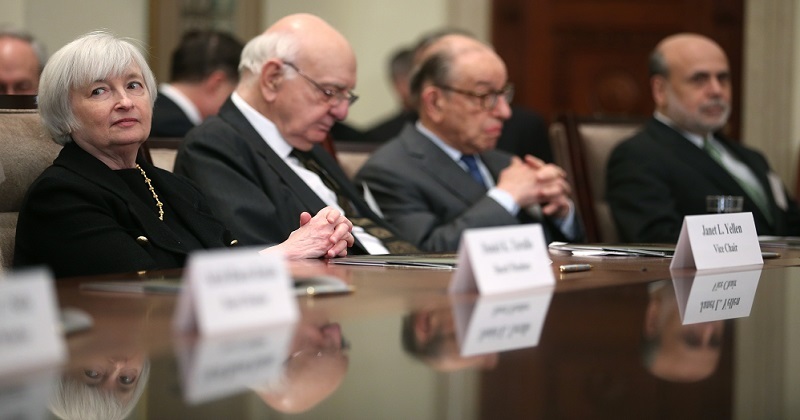 The Fed is thinking about the problem exactly backwards. This is because correct thinking would force them to admit the damage they are doing and have done to the dollar. Whatever the reason, this mistake is in your favor. The price of gold is being kept artificially low creating a buying opportunity that savvy consumers around the world are taking advantage of in droves. Don’t wait for the price to skyrocket. Don’t let the Fed fool you with their trickery. Protect yourself and your future from their games. If you’ve been waiting to get in on gold, THIS IS WHAT YOU’VE BEEN WAITING FOR. Get in while the getting is good. Don’t forget that we share all the latest news on social media. Follow us on Google+ or read the latest news from Birch Gold Group.